Our program starts in Spain's beautiful capital city, Madrid... the Prado juxtaposed with a flamenco dance night, balanced with some tapas. Time to let go the English and speak Spanish in real life -to waiters, shopkeepers, local folk and each other. 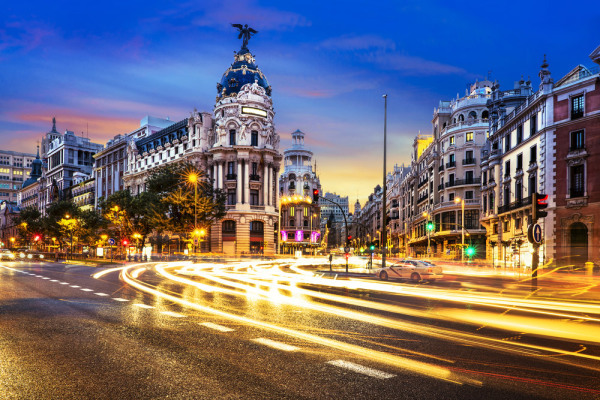 Madrid is located on the Manzanares river in the centre of both the country and the Community of Madrid (which comprises the city of Madrid, its conurbation and extended suburbs and villages). Madrid, the capital of Spain, is also its largest city and it's the third largest GDP in all of European Union. This community is bordered by the autonomous communities of Castile and León and Castile-La Mancha. As the capital city of Spain, seat of government, and residence of the Spanish monarch, Madrid is also the political centre of Spain. The current mayor is Manuela Carmena from the Now Madrid Party. 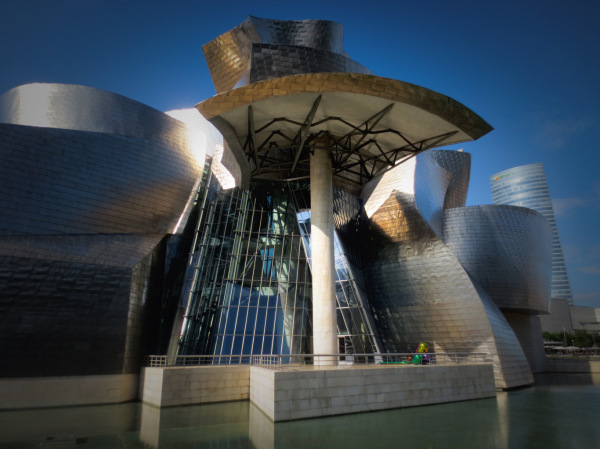 Our travels start with a visit to the amazing Guggenheim Museum in Bilbao and includes a day trip to the coastal resort of San Sebastián for the world-famous International Jazz Festival. Then it's to the coast and the beautiful coastal village of Sant Feliu de Guí­xols along the Costa Brava. Located on the Mediterranean, Sant Feliu de Guíxols has idylic weather almost all year long. The coastline of Sant Feliu de Guíxols spreads over ten kilometers. It also includes many little bays with coves surrounded by pines with rocky or fine sand beaches. Then!!! The lure and reputation of Barcelona is equal to that of Paris on the continent—Gaudi's Sagrada Familia, the Paseo de Gracias, Las Ramblas. 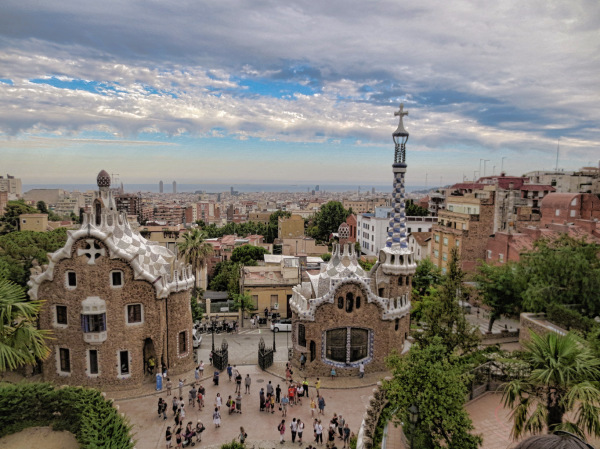 A fun view of the city comes from the Parque Güell and all the art within it. Add to that the café scene of the Plaza de St. Jaume, the local music, folk dancing (the Sardanas). The culmination of the program... can you speak Spanish to a café waiter and have him speak Spanish, not English, to you!?? ?